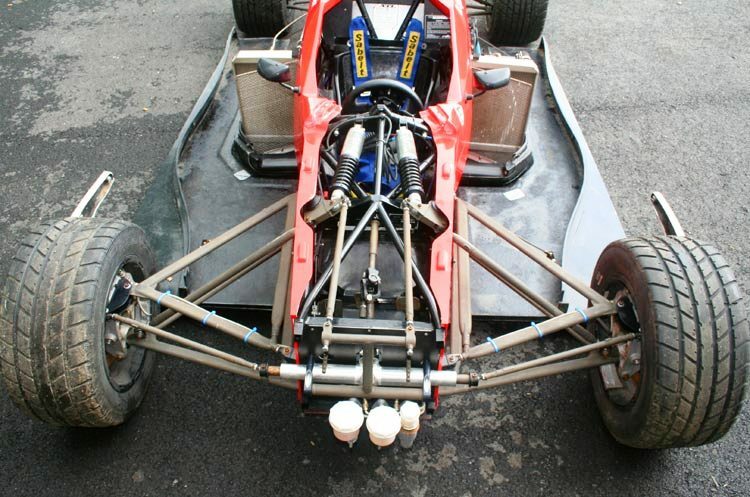 "The main chassis of the car is a tubular steel spaceframe. 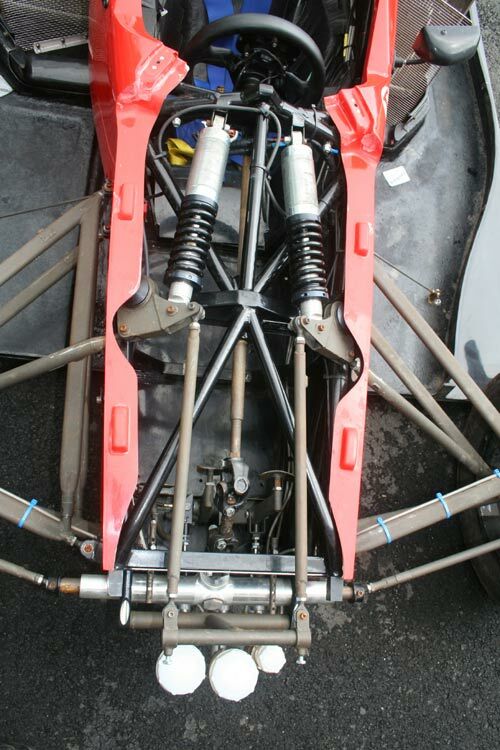 The wheelbase is 102.5”, front track is 58.5”, and rear track is 55”. 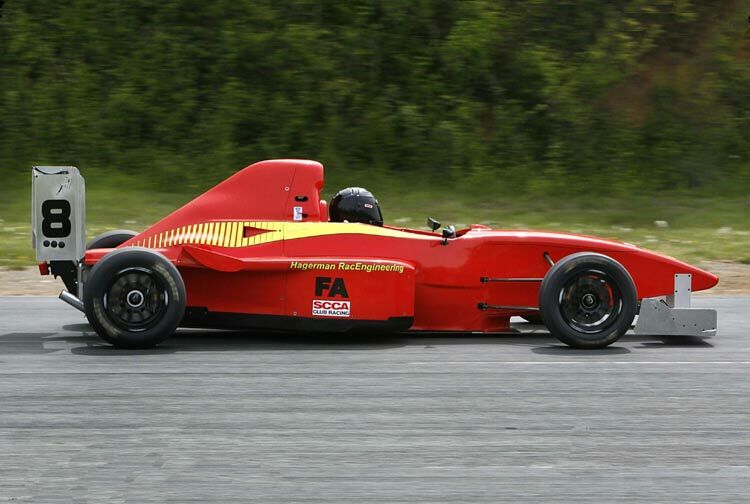 Minimum weight with driver is 1265 for the Formula version and 1385 for the Sports Racer. 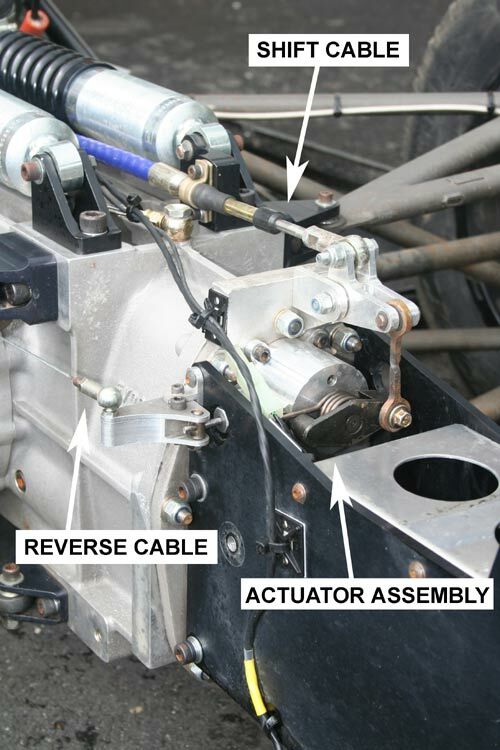 Ventilated AP Racing 10-1/2” disc brakes with four-piston calipers are used at all four corners, with a cockpit-adjustable brake bias. 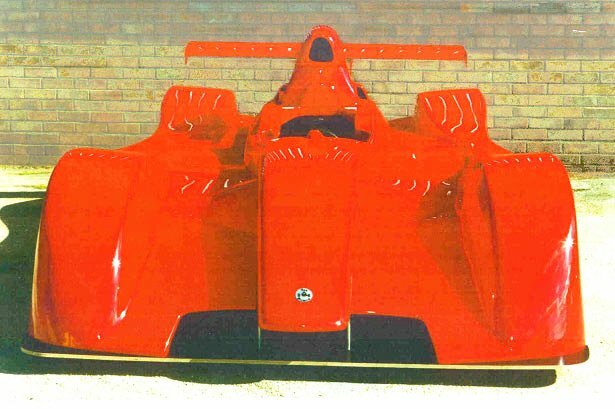 Cast OZ Racing wheels are used, 8 x 13” in the front and 10 x 13” in the rear. 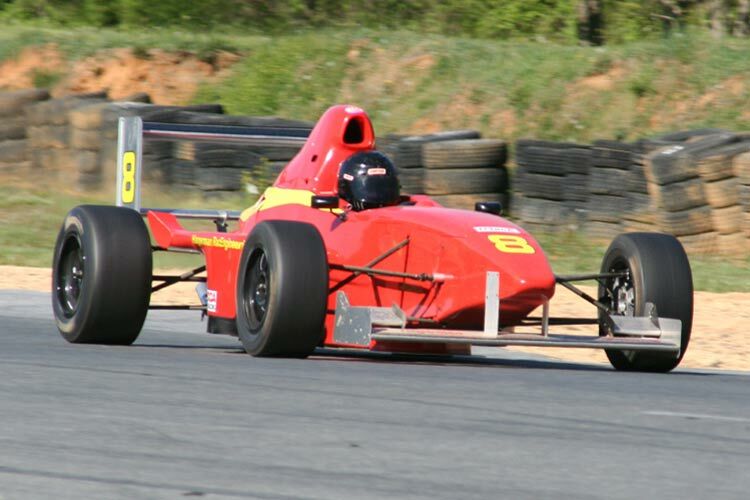 For SCCA Club Racing, specific Hoosier slicks are required, sized 21.5 x 7.5” in the front and 22.0 x 10.0” in the rear, with Hoosier grooved rain tires used when needed. 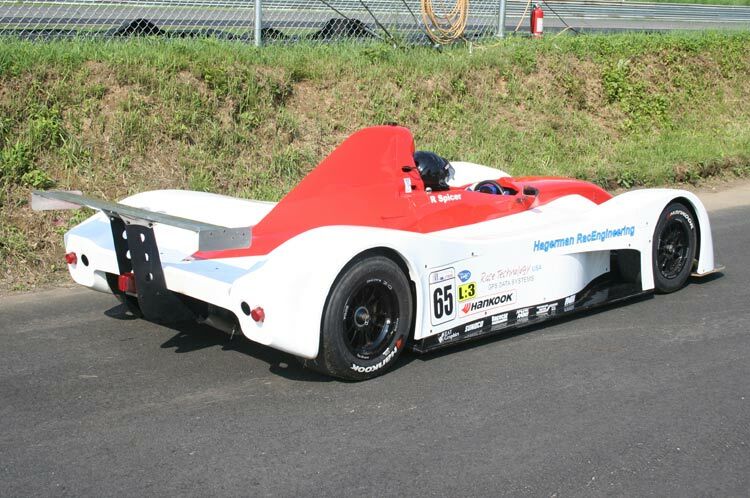 For IMSA Lites competition, the required tire is manufactured by Hankook. 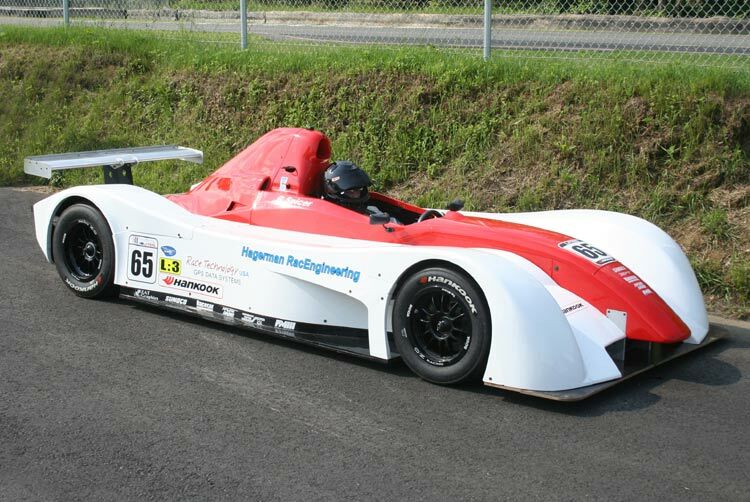 The Sports Racer uses a front splitter and a single-element rear wing which are also adjustable. 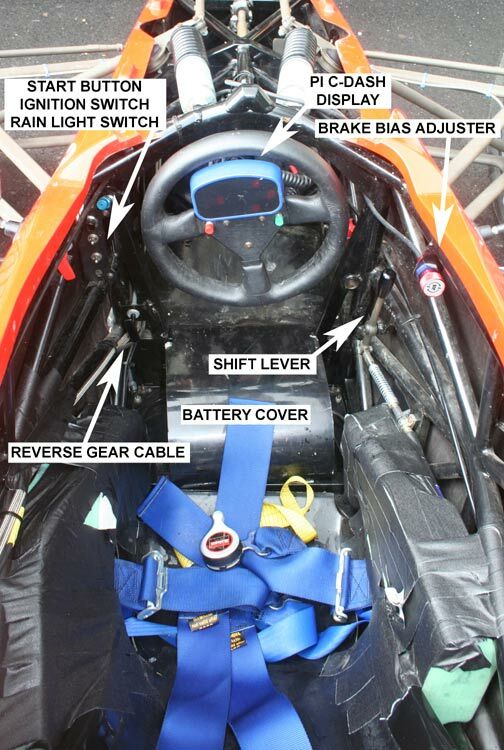 The Formula car uses a single-element front wing and a dual-element rear wing, both of which are adjustable. 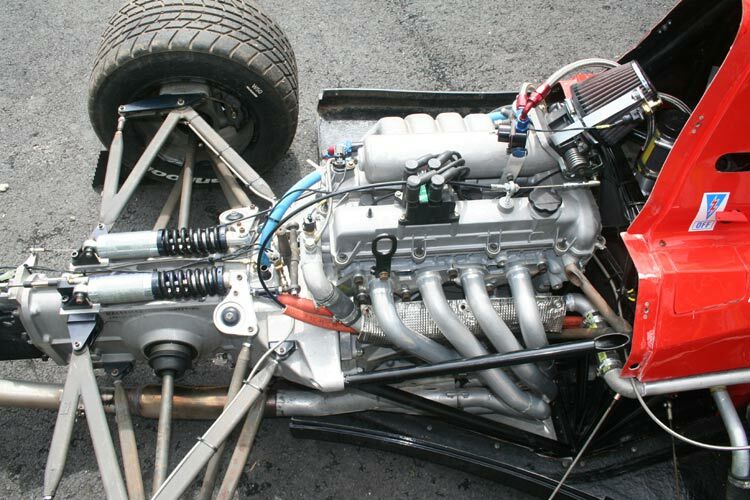 Elite sequential gearbox - 5 speed. 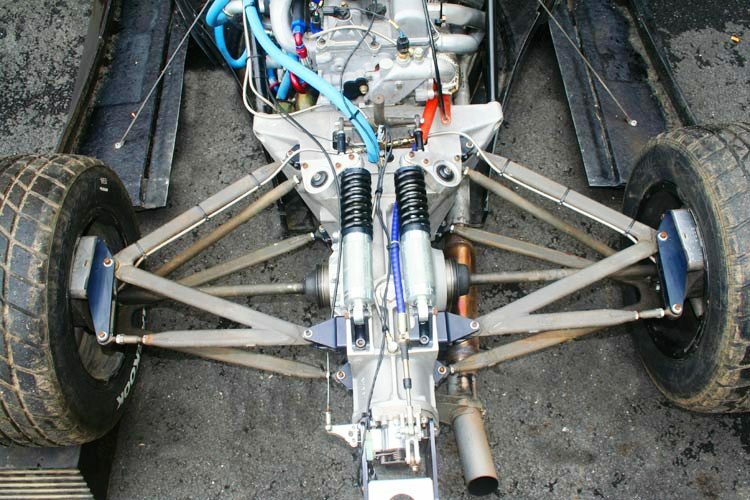 Multi tubular steel spaceframe extensively braced in the cockpit and footwell areas. GCR compliant. Front - 21.5" x 7.5" x 13.0"
Rear - 22.0" x 10.0" x 13.0"
Estimates as of November 01, 2005. 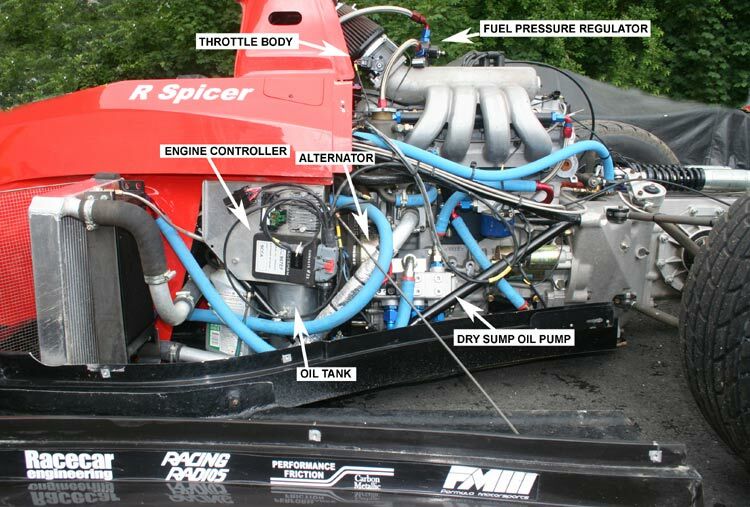 1Description and photos from Hagerman RacEngineering. 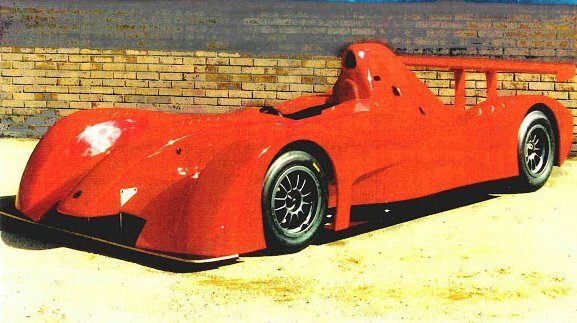 2Specifications and photos from SCCA Enterprises FSCCA / SRSCCA page.